"Liver is simmered in chicken broth and ground with hard cooked egg and three different preparations of onion to make the best chopped liver ever." Place the liver, whole eggs and one onion into a large saucepan with the water. Bring to a boil and stir in the chicken bouillon cubes. Simmer for one hour, then allow to cool. Meanwhile, heat the oil in a large skillet over medium heat. Chop one onion and fry in the oil until tender. Chop the third onion and set aside. When the liver has cooled, grind together the liver, hard-cooked eggs and the three onions. Season with salt and pepper. Chill before serving. Watch how to make breaded chicken with lemon-butter and mushrooms. This was pretty tasteless. Next time, I'll go back to starting off with sautéing the liver with onions. 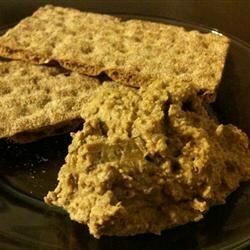 This is awesome chopped liver. The only thing I did different was use chicken broth instead of water and then added 1 chicken bouillon cube. My husband swears this tastes just like his mom's recipe. Turns out great every time and is really easy to prepare.